The insider advice on this page is from one of Wendy’s Trusted Travel Experts for Europe: Jill Taylor of Jet Set World Travel. 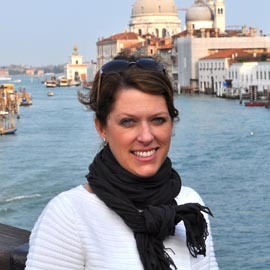 After a study-abroad experience in France and a stint living in northern Italy, Jill found herself planning so many pan-European itineraries for family and friends that she decided to go into the travel business. Now living in Chicago and working at Jet Set World Travel, she arranges elaborate trips worldwide, but with a focus on Europe. When you prefer the comfort and convenience of a U.S.-based travel advisor—someone who will handle everything from airfare to travel insurance—to the narrow focus of an in-country destination specialist, Jill is the ticket. Contact her if it’s your first trip to Europe and you’re not sure where you want to go, or you’re trying to combine three or four European countries and can’t figure out the smartest logistics, or you’ve got multiple travel companions flying in from multiple cities and you need someone to mastermind the whole thing. Or, if what you really want is a group tour, she can point you to the best for your particular needs. Trips start at $800 per day for two people. 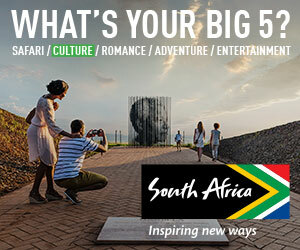 There is an additional trip-planning fee of $400 for two travelers or $550 for a family. If you’re headed to the Dolomites from Venice (an ideal mountain gateway), there are a number of delightful options for pit stops: the home of prosecco, Valdobbiadene; the capital of the grappa distilleries, Bassano del Grappa (the Poli Museum offers tastings and a good overview of the production process); or, for ski buffs, Cortina d’Ampezzo, past host of the 1956 Winter Olympics and future host of the 2021 Alpine Ski World Championships. Board a helicopter to experience the true magic of the Matterhorn and Zermatt from the air. Come face-to-face with some of the most dramatic and treacherous scenery in the world, all while sitting safely next to an experienced pilot guiding you through the clouds. 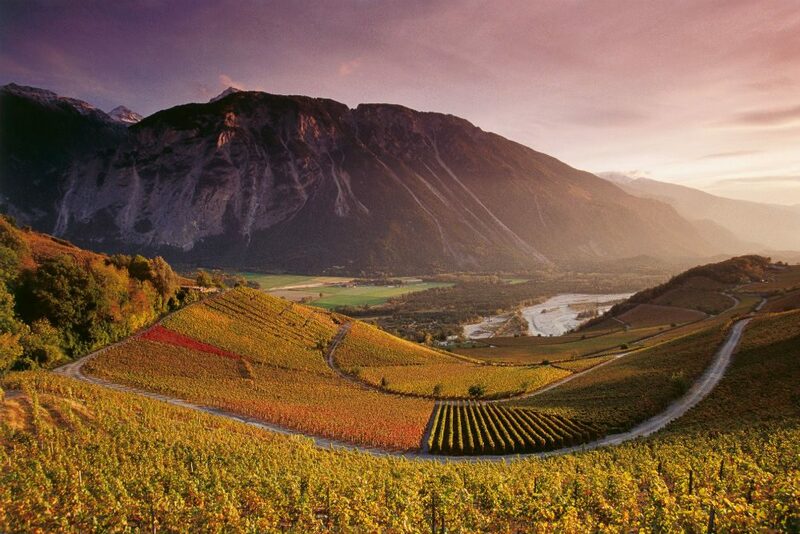 Italian wines may be more familiar to you than Swiss, but grapes have been growing in the land that is now Switzerland since Roman times—and there isn’t much opportunity to try these wines outside of the country, as the Swiss export only one percent of what they produce. Zermatt is in the Valais wine region; you can walk a four-mile-long wine trail, with a guide or even a vintner, and visit wine museums at either end that share the history of the local grapes. One of the best places to taste a variety of Swiss bottles is at Chateau de Villa’s wine bar: Pair the local whites with a traditional Raclette du Valais AOP, made according to a recipe that has been passed down for generations. Sit at a café with a plate of raclette and a glass of prosecco, take advantage of one of the region’s excellent spas, or ease aching muscles at the natural hot springs in Pré-Saint-Didier, near Courmayeur. From Courmayeur, take the first cable car to the Pointe Helbronner at 10,000 feet, where you will don your snowshoes for a little hike on the glacier. Investigate large ice formations and crevasses of stunning blue while your guide finds somewhere private and away from the crowds to set up a picnic with a table and chairs on the ice. 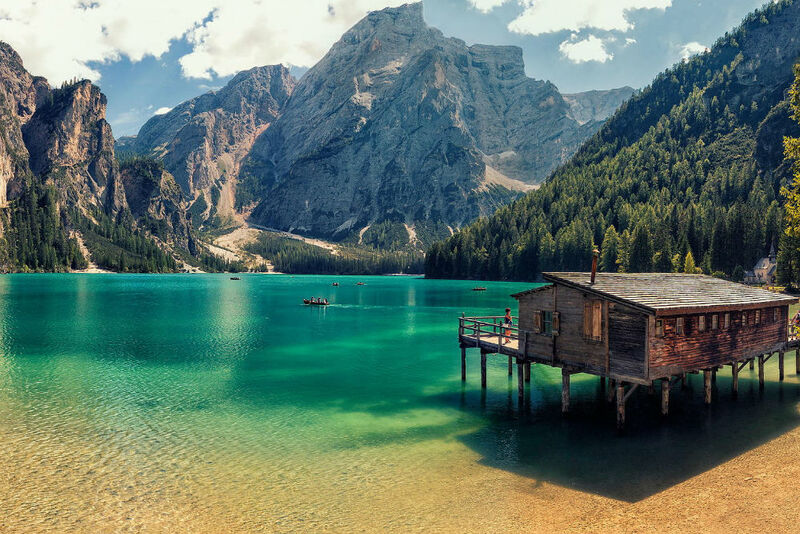 It’s a breathtaking two-hour drive through the Dolomites—a UNESCO World Heritage Site—from Venice to Rosa Alpina, a boutique Relais & Chateaux property in the picturesque Italian village of San Cassiano. It’s a perfect honeymoon hideaway. The Deluxe Rooms are small and don’t have balconies or fireplaces, so it’s worth paying a bit more for a Junior Suite (especially in summer, when you’ll enjoy sitting outside). The hotel has four restaurants, one with two Michelin stars, and the kitchen will pack a gourmet picnic for your lunch on the go. My travelers receive free breakfast, plus room upgrades based on availability. At the foot of the Matterhorn sits Zermatt’s 150-year-old Mont Cervin Palace, one of the best deals in this pricey Swiss resort town. Many rooms have a view of the iconic mountain; some have the feel of a rustic chalet, while others have more classic decor. The entry-level accommodations are fine for two people, though families will appreciate a two-bedroom suite with kitchenette. 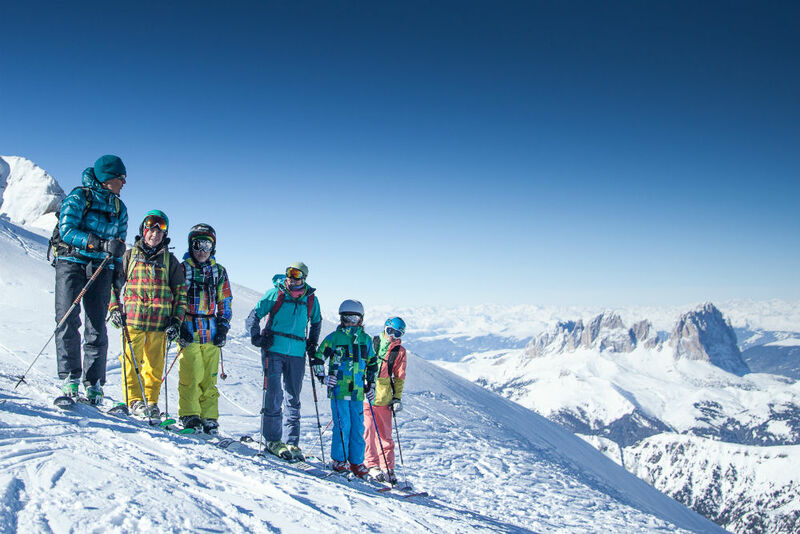 In Courmayeur, on the Italian slopes of Mont Blanc (the Alps’ highest peak sits on the border of Italy, France, and Switzerland), you’ll find the charming Auberge de la Maison, a traditional, family-owned inn with 33 rooms. The least expensive rooms are small, so I generally recommend the next category up. The restaurant serves hearty, home-cooked food in a cozy setting. In summertime the area is a playground for golfing, rafting, hiking, and fishing; in winter, the ski lifts are just a shuttle-bus ride away. Polenta is served a number of different ways depending on the season, but this corn-based meal is considered “the bread of the Dolomites.” In winter, a typical polenta dish may come hot with steamed sausages or goulash (a tasty meat stew). In summer, don’t be surprised to see it sliced and fried or grilled with fresh seasonal vegetables and Parmesan cheese. For dessert, you can’t go wrong with apfelstrudel. Popular in Austria but perfected by the Italians, this apple dessert is best served with a side of homemade vanilla gelato. Maso Runch, in the Italian town of Badia, serves rustic Tyrolean food at great prices. It’s a family-run place attached to a farm that produces milk, eggs, and herbs used in the dishes. The six-course tasting menu features the best of the local cuisine for just 30 euros. 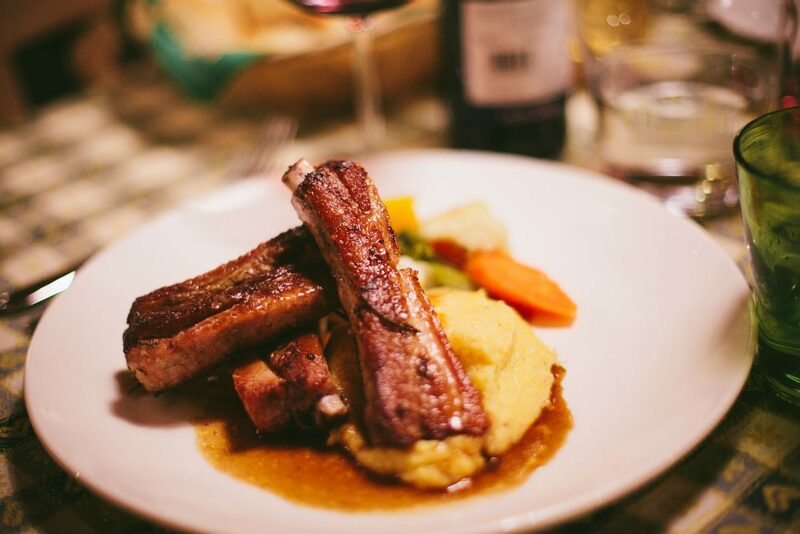 You can take the cable car from Courmayeur—or, if you’re looking to burn off calories, go by foot or ski—to Rifugio Maison Vielle for a plate of hearty and delicious mountain food. Some of the dishes are served on a losa, a stone that shepherds once used to cook their meals. In Courmayeur, Caffe della Posta dates from the early 1900s and is frequented by celebs and locals alike. Enjoy afternoon coffee and pastries, or a late-night drink with local meats and cheeses, while sitting around the huge fireplace. In winter, try a Caffè alla valdostana, a traditional alcoholic coffee drink served in a wooden cup called a grolla, which is passed among friends. I love May and September: It’s less crowded than summertime, since families aren’t traveling, and it tends to be cooler too. April and November can be really cold, and many hotels are closed. There may be snow, but not enough to ski. You can get hit with huge fees if you do a one-way car rental, especially with pick-up and drop-off in different countries. Don’t try to cover too much distance in one day; a place that looks close by on the map can take hours to reach, since the alpine roads are so twisty. The Gornergrat is Europe’s highest open-air cog railway; during the 33-minute ride you can snap stunning photos of 29 peaks, some rising over 13,000 feet. ViewRanger has a variety of features, from topographical maps to an augmented-reality feature that labels routes and points of interest over the view from your phone’s camera. It’s typically cheaper to fly into Italy—either Venice or Milan—than Switzerland. A Buff band is versatile and handy in all sorts of weather; it can keep the wind off your face or the sun off your neck.